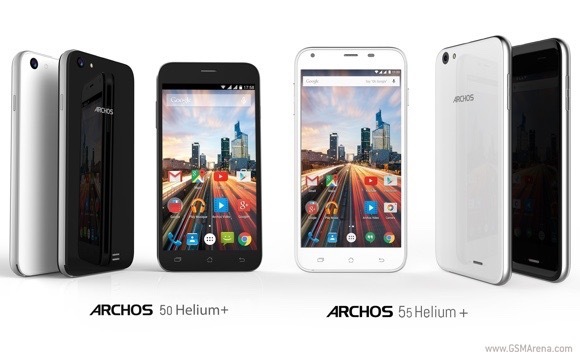 The Archos 50 Helium Plus and 55 Helium Plus, which went official last week, will be available for purchase in the UK in July. While the former will carry a price tag of £119 ($185), the latter will set you back £139 ($216). Specs-wise, both devices are powered by a 64-bit MediaTek MT6735P chipset with 1GHz quad-core Cortex-A53 CPU. They come with 1GB of RAM and 8GB of expandable storage, and run Android 5.1 Lollipop. In terms of camera, both feature a 13MP rear unit with LED flash and a 5MP front shooter. While the 50 Helium Plus sports a 5” 720p IPS display with 293ppi, the larger sibling comes with a 5.5” 720p IPS display with 267ppi. They pack in a 2,000mAh and 2,400mAh batteries, respectively. Archos was once my favorite brand when they launched those tablets. I am disappointed that they don't have anything surprising.